I got this yarn and pattern from my lovely rubberswapping pal and cast on pretty quickly for it. I ended up ripping back because I ignored a crucial three rows of the chart, but after that things progressed pretty. 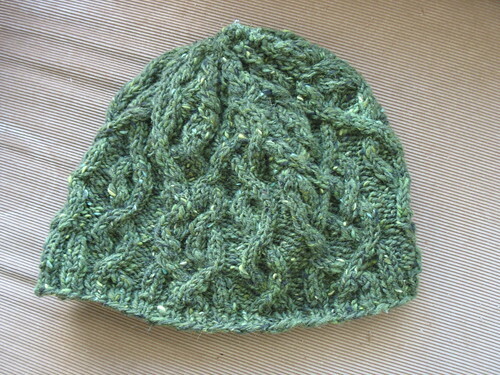 The pattern is challenging enough that it's not a great choice for knitting and talking, but works well for when you are half-watching a show. 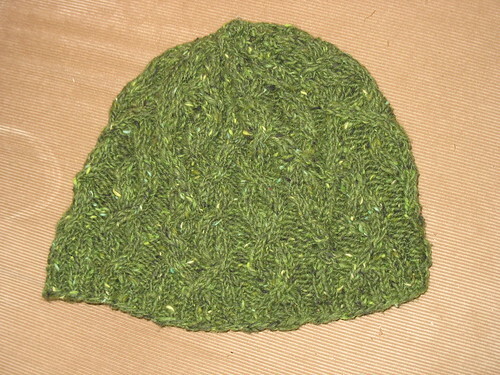 The yarn is a bit scratchy, but a head test determined that it was not bad when worn. The color is closer to the second picture, but the cables are more visible in the first.